Can You Identify the men in this photo? The members of this group come from all over Poland but they are united by their dedication to solving 50+ years old mysteries. Until now they have succeeded in identifying the locations of air crashes and landings of over a hundred B-17 Flying Fortresses, B-24 Liberators, P-51 Mustangs and P-38 Lightnings. We are promoting our interest and spreading knowledge about the USAAF air offensive in Europe through articles in the daily press and magazines in Poland. We hope to publish the results of our research in the form of a book. They are looking for participants and witnesses accounts of these crashes and landings and for any documents and photographs that are related to these events. If you landed or crashed in the area marked on the map (or your friends or relatives did) please send e-mail or write to them. They would be glad to hear from you and provide help, if possible. 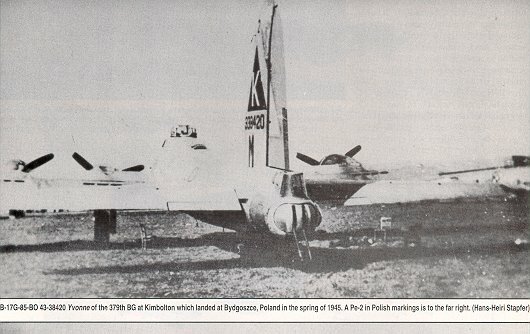 B17 Flying Fortress (#43-38420) conducted an emergency landing in Soviet occupied Poland at Bydgoszcz on March 18, 1945 after sustaining damage on a mission to Berlin. The plane carried "2" on the top of the Triangle-K with the letter "M" beneath it. The pilot was Bud Abott. The crew was returned to England via Russia. 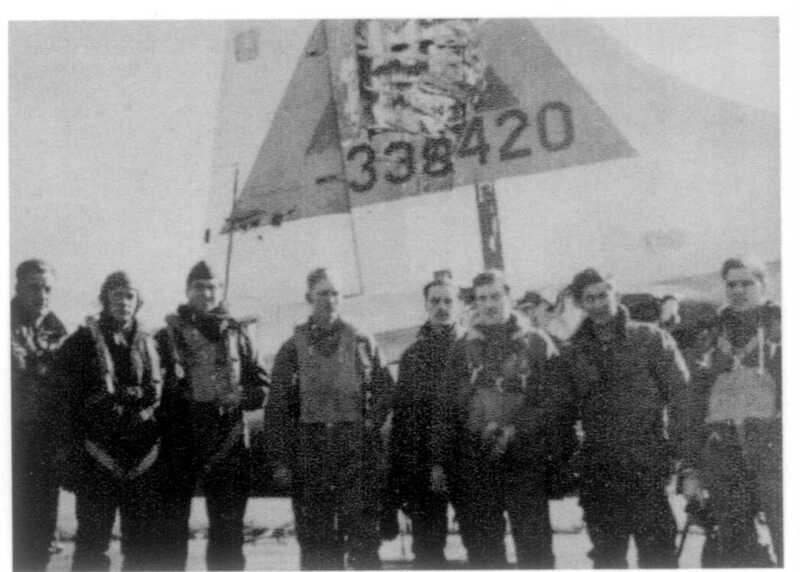 19 Oct 44 - Transferred to 2SAD at Little Staughton for "battle damage repair" possibly incurred on bombing missions to Cologne. 17 Jan 45 - Listed as "salvaged"